I didn't do as badly as I thought I would over Christmas. About half way through the holiday I had gained 4 lb, but by Sunday I had already lost 2 of those. 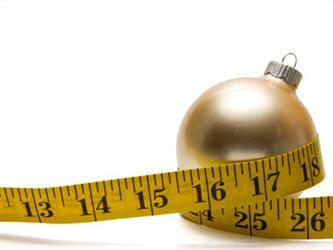 So I am claiming a 2 lb Christmas gain, and a New Year starting point of 14 stone exactly! I am struggling to get my commitment back to the diet after Christmas. I have really got my taste for sweet things and carbs back with a vengeance. And it's cold and wet outside which just makes me crave comfort food all the time too. I took my usual box of veggie sticks to work yesterday and really didn't want them. I was day dreaming about mashed potatoes. Warm. Soft. Creamy. Tasty. I had some for dinner! But I stayed within my pro points so that's ok.
Only being 2 lb heavier than before Christmas is a good thing. If I had gained loads of weight I would have been very disheartened and wanted to give up. But this is still very important. I want to get back below 14 stone, ideally loosing 2-3 lb, this week because I'm back at the doctors on Monday afternoon and I want to show progress on my weight.